Novomatic is one of the old-school gaming heavyweights that’s been been producing physical slots since way back in 1980. After being well-established, the company acquired the online-facing Greentube in 2009 and quickly converted the up-and-coming company into its global interactive business unit. The rest, as they say, is history with Novamatic now home to some of the most well designed online slots in the world. Novomatic games are renowned for their graphics, reliability and re-playability. The graphics are more reminiscent of high-end video games than most slots and that has helped make Novomatic slots some of the most coveted games around. The company has much more than just slots, however, and the Novomatic also provides table games like Blackjack and Roulette and a live casino with actual dealers. That’s all in addition to its other major business of offering equipment to land-based casinos. Novomatic is one of the biggest players in the online gaming business and its definitely worth taking a closer look at their high-profile portfolio of games. What makes Novomatic Software so Unique? It was actually helpful that Novomatic entered the online game relatively late compared to some of its competitors because it didn’t have to worry about porting over old, bloated download-only versions of its games. Instead, the modern Novomatic software package is incredibly lightweight, fast and easy to play thanks to its focus on forward-facing instant play modes and HTML5 technology. To date, Novomatic is entirely instant-play with desktop users benefiting from no-download software and a big emphasis on HTML5. HTML5 allows Novomatic to offers its games across platforms with support for both desktop Operating Systems (Windows, Apple OSX) and touch-based mobile systems including iOS and Android. Mobile players will be happy to note that almost every single one of company’s games are available to play on the go. Interestingly, Novomatic also includes a couple deluxe standalone mobile apps for its flagship games. The apps are incredibly slick but, if you’re like us, you’ll probably get bored of playing just one game and you’ll want to switch to the in-browser option so you can take advantage of the full catalog. Novomatic also has a few unique options in its software that you don’t see very often. One such option is the ability to get an instant-replay of your jackpots. Another is a spectator view that lets you watch other people play. Novomatic is the complete package when it comes to online games with slots, table games and live casino all well represented. The company built its brand on its high-profile slots and that’s still the main draw but its other games are surprising robust and are easy to recommend as well. You’ll find Blackjack, Roulette, Sic Bo and all the other table games on Novomatic with a few unique ones thrown into the mix. Beyond the regular casino games Novomatic also has software for bingo and Latin bingo. There’s a reason that slots lovers tend to be drawn to Novomatic games. The company has produced some of the most beloved slots in the world including Wolf Money, Epic Adventure, Jungle Queen, Sorceress, Reel Catch, Lucky Lady’s Charm, Roaring Wilds, Top o’ the Money, Age of Profiteering and more. 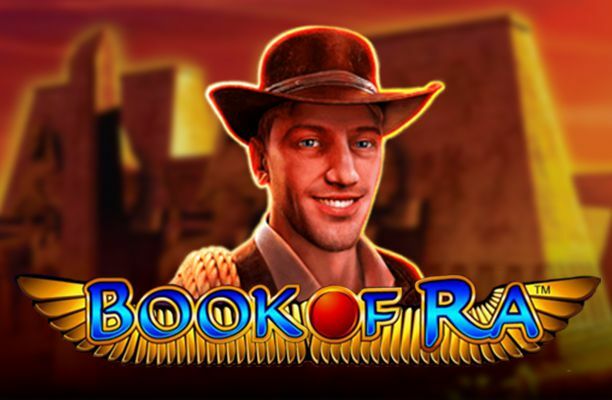 Arguably Novomatic’s most famous slot, however, is Book of Ra. The Indiana Jones-esque slot has drawn countless people looking to find some buried treasure of their own. Book of Ra is so popular that Novomatic has produced numerous versions of the slot to keep fans coming back for more! You’ll find that all of Novomatic’s slots have a very high production value, with vibrant color reproduction that’s reminiscent of more graphically intense video games that can be found on mobile. It’s clear that Novomatic made an effort to elevate the entire industry with its game and you won’t see slots fans complaining. Novomatic offers a small but high quality line-up of table games that includes all the usual suspects including Blackjack, Roulette, Baccarat and Sic Bo. The company goes one step further, however, and also includes some variants such as Royal Crown Blackjack, Multiball Roulette, Mystery Roulette and Globe Roulette! Novomatic also differentiates itself from the crowd by offering Royal Crown 3-Card Brag, which can be difficult to find online. Bottomline: Novomatic doesn’t offer the most table games but it’s enough to keep table game players busy. Novomatic offers a small but growing number of live casino games. These live-streamed games should appeal to anyone looking to get as close to a real-life casino experience as they can possibly get at home. The company currently has Extreme Live Baccarat, Extreme Live Roulette and Extreme Live Blackjack. It’s a small assortment of games but we’ve found the Novomatic dealers to be quite talented and friendly, which is always important. Generally, Novomatic sticks exclusively to casino but it doesn’t have a significant bingo side business. The company offers a variety of bingo variants including a number of Latin Bingo games like Bruno Bingo, Boto Bingo, Beach Party and Wizard Bingo. Novomatic may be one of the biggest players in online casinos but it’s roots are deeply entrenched in the land-based casino world! The company was founded way back in 1980 by Austrian billionaire Johann Graf. Graf originally made a business out of importing Belgian pinball machines and placing them in bars and cafes. Then, Graf went on to launch a series of gaming machines with the name Admiral, which was under the umbrella of Novomatic. For the next 10 years, Novomatic expanded around the globe and built a brand that was starting to gain recognition from the major players in the casino world. Everything changed for Novomatic in 1990 when it developed breakout hit American Poker II, which remains popular with gamers to this day! Taking inspiration from American Poker II, Novomatic pioneered the touch-based slot machine segment creating numerous landmark machines. The next big change for Novomatic occurred in 2010 when it acquired upstart online gaming company Greentube. Greentube had received critical acclaim for its particularly colorful online slots. Novomatic bought Greentube and quickly spun it into its interactive online branch. The Greentube acquisition proved to be a pivotal deal for Novomatic in the online world and seemingly overnight it went to a heavyweight contender in the industry. These days, Novomatic continues to make acquisitions in the online gaming world, including UK Gaming Group Talarius in 2016, and operates in 43 different countries with several land-based casinos to its name and billions in profit. Novomatic has a fervent following in the online gaming world and it’s easy to see why. The company produces large amounts of games that are positively brimming with fun. Thanks to the lush graphics provided by the Greentube platform it’s easy to play Novomatic slots for long sessions. Novomatic isn’t as big as some of its competition but they definitely punch above their weight class thanks to great slots and a commitment to responsible gaming. It’s easy to put Novomatic right up there with heavyweights Microgaming and NetEnt. If you’ve never played Novomatic slots it’s definitely worth firing up a casino that partners with the brand at least once.